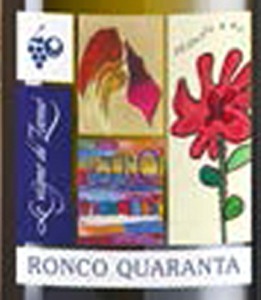 The 'Ronco Quaranta 2007' by Le Vigne di Zamò is a limited edition of 'Ronco di Corte' to celebrate the 40th anniversary of the vineyards. Deep wine, rich, coming from the oldest plots, left to mature long before the release on the market. Careful blend of chardonnay, sauvignon, riesling. Long lived like few others, it is nice to discover the evolution with the passing of the years. 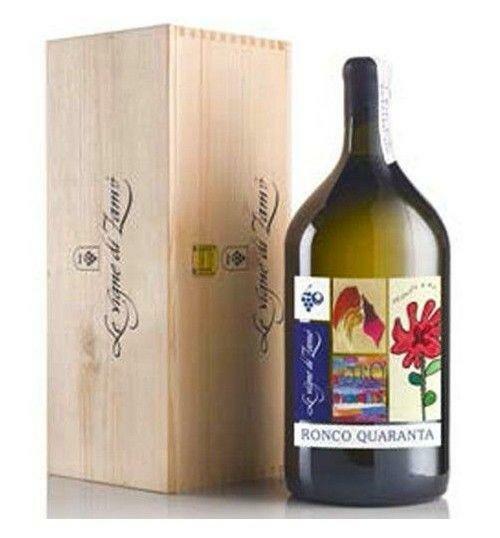 THE WINE The 'Ronco Quaranta 2007 ' by Le Vigne di Zamò is a limited edition of 'Ronco di Corte' to celebrate the 40th anniversary of the vineyards. Deep wine, rich, coming from the oldest plots, left to mature long before the release on the market. Careful blend of chardonnay, sauvignon, riesling . Long lived like few others, it is nice to discover the evolution with the passing of the years. THE COMPANY Le Vigne di Zamò , a winery founded in 1978 in Rosazzo, in the province of Udine, has been a reference for thirty years not only for the large area of ​​the Colli Orientali del Friuli but also for the entire region. Its wines, always characterized by an elegance and a unique material, have amply demonstrated the greatness of the area and that of some of its best vineyards. Just think of plots now entered in the collective imagination, such as Rocca Bernarda, 10 hectares enjoying the influence of the sea and especially of large temperature changes between day and night, Buttrio, 5 hectares from which two of the most significant wines of Le Vigne di Zamò, the "Fifty years" or Rosazzo, 15 hectares characterized by a unique microclimate, fresh but at the same time temperate. Wines in perfect balance between tradition and modernity, produced in a suggestive cellar like few others, modern and buried in the hill so as not to impact the extraordinary environment that surrounds it. Before 75,01 € tax incl. Tasting Color: soft rooster with golden reflections. Bouquet: fruity hints with typical notes of apple, banana, elderberry, peach with hints of chamomile and sage. 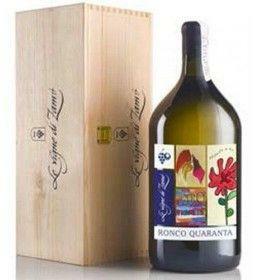 Taste: fresh and enveloping, in excellent balance and characterized by an intense minerality.